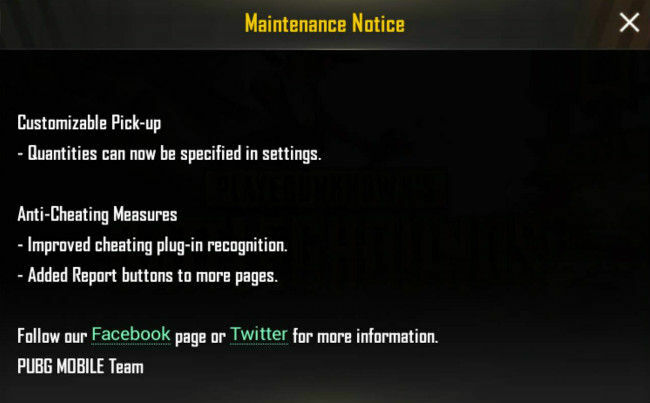 PUBG Mobile will be down for maintenance from 12AM to 8AM on September 11, and the new update with the Sanhok map will be available from September 12. 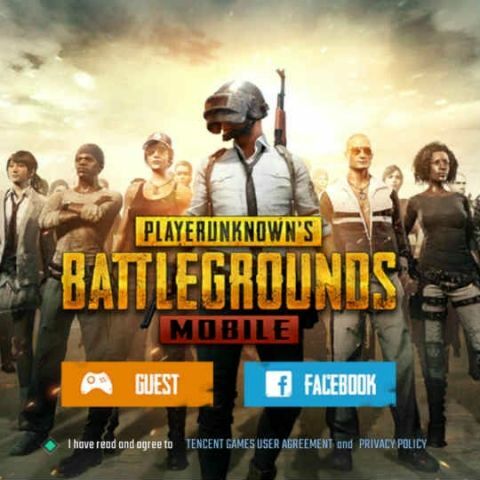 The mobile version of PlayerUnknown’s BattleGround or PUBG Mobile is all set to get a brand new update which finally adds the Sanhok map to the game. The map was already available for PUBG beta version on Android and it's finally being made available for all. 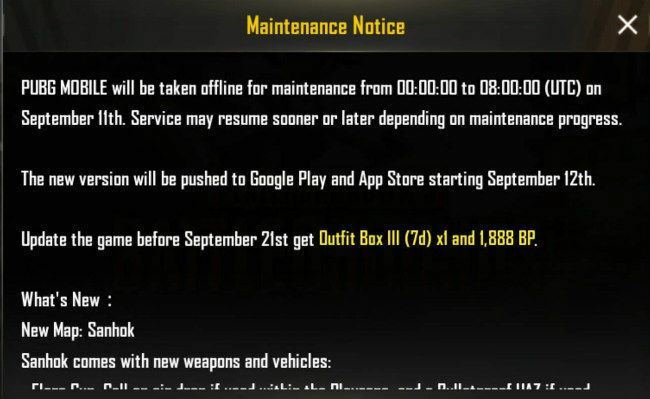 Firing up the game right now gives users a notification that it will be down on September 11 from 12AM to 8AM during, during which the developers will be working on adding the new map as well as a bunch of updates. The new version of the game will be available to users from September 12. The most notable of the new additions is obviously the Sanhok map, which has been available on PC for quite a while now, and was just recently made available for the Xbox version following its full retail release. The new map’s design is a far cry (pun intended) from the Miramar map, as it features a more tropical setting. Sanhok is also a lot smaller than both Erangel and Miramar, which should make for a more fast-paced gameplay. The new map will also feature new weapons as well as two new vehicles. New weapons include the QBZ, an automatic rifle and the flare gun. The latter can be useful in a pinch as when used inside the battlezone, it calls in an airdrop; and when used outside the battlezone, it calls in a bulletproof UAZ. 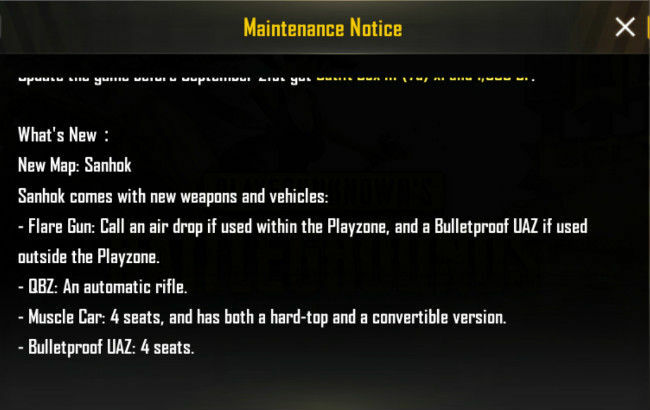 Speaking of which, the bulletproof UAZ is one of the new vehicles added to the game and can seat four people at a time. The second car added to the game is a muscle car which is available in hard-top and convertible versions. Both variants will be able to seat up to four players. Other changes to the game include customizable pick-up options, which can be set from the Settings. Other changes include better anti-cheat measures. This includes improved cheat plug-in recognition, and addition of report buttons on pages.